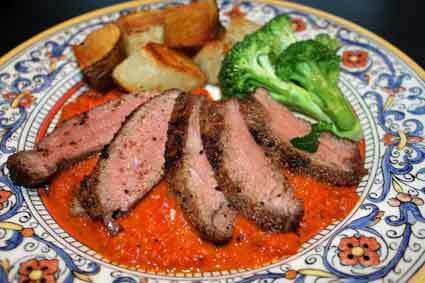 Here you will find some delicious grill recipes for steak and beef along with great tips.Real tricks of the trade. 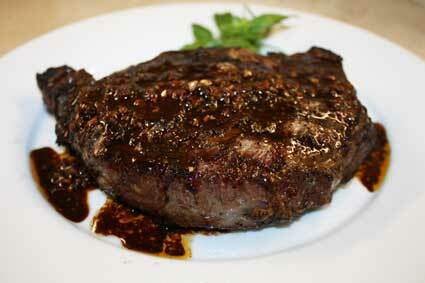 For many people, the epitome of grilling is of the perfect steak. 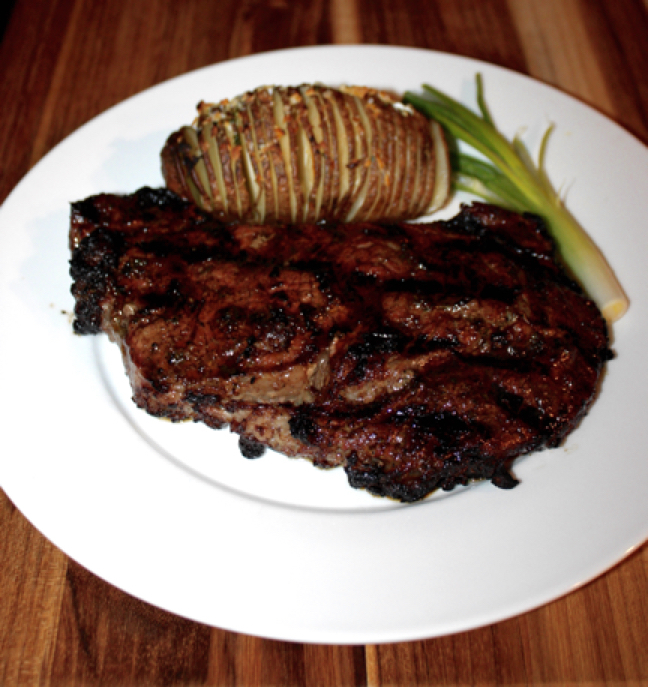 Knowing how to grill steak is one of the first skills learned at the grill. 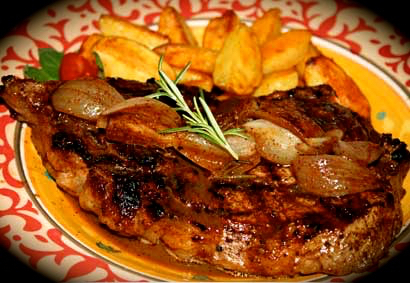 Many guys love the simplicity of a steak and it is hard to beat the satisfaction of a great steak. That said, having awesome grill recipes for steak and beef is another ace in the hole of making a fantastic dining experience. As with all food, a great meal starts with great product. So let’s start there with how to grill steak. 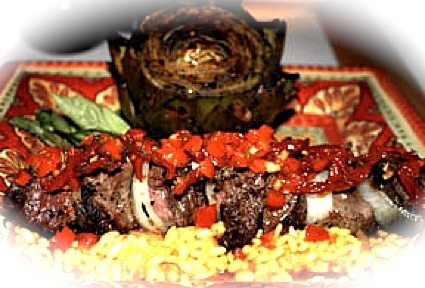 If you want to "cut to the chase" and get straight to the grill recipes for steak and been, scroll to the bottom of the page! 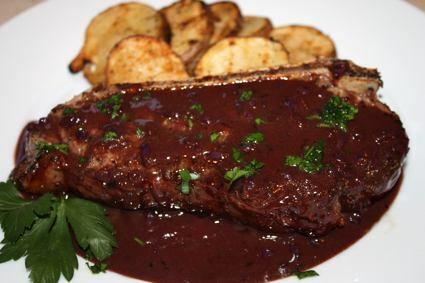 As a chef and coming from a family of restauranteurs who owned steakhouses in San Francisco since the 1940's I would rather not eat beef than eat poor quality beef. So look for beef with nice marbling. The USDA grading system is good although in recent years it is not as strong as in the past. Go to a reputable butcher and let them know that you want some really nice beef. You will not regret it. In years gone past, being a butcher was an art. People shopped at their butcher shops are relied on their butcher to cut them great steaks, etc. Well, in the days of the supermarkets, those are largely bygone days, sadly enough. Now a days, you need to check out what you are buying and understand what the different grades are and how they apply to the meal you are preparing. I am a bit picky on this since my family operated steakhouses in San Francisco for many years. I literally grew up in the business. In our steakhouses we only used the great beef. I am spoiled when it comes to steaks. You should be too. 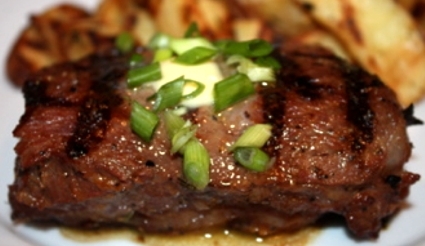 Grades of beef are set in the USA by the US Department of Agriculture. 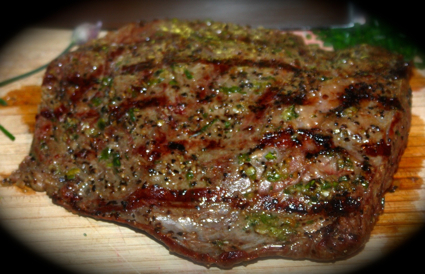 - Prime is the best with the highest marbling in the meat. Great grilling here! - Choice is good, some choice can be excellent. Personally for certain cuts, I will not buy lower than choice. - Some cuts are OK with select, but you have to be really careful. This is supermarket fare. - Nope, low end Supermarket meat. Kangaroo or Wildebeest? No offense to Marsupials or African herd animals. Just kidding, but when it comes to being on your grill, just say NO! There is one other that is called “No Roll” this is beef that is non-graded by the U.S.D.A. Unless you know where this is coming from it is a dice roll. I have bought No Roll from trusted suppliers at great prices, but the quality can vary widely. 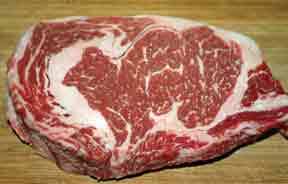 Unless you can spot good marbling don’t buy it. Now do these grades apply to your steaks and Grill roasts? See the table below for some rules of thumb. Now do these grades apply to your steaks and roasts? A new decision has arisen with the growth of grass fed as apposed to the traditional method of bringing the cattle to the feed lot for “finishing” with corn feed. When buying any steaks regardless of wheather it is grass fed, corn fed, organic or commodity look for good marbling and proper cuts. If you can see the marbling and no big sinews etc. You will likely have a decent piece of meat from the grill. Tougher meats are better suited for braising than grilling. 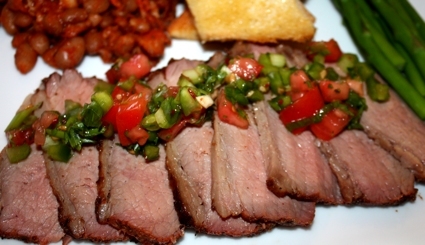 When we lived in Mexico, we lived in the Baja so the local beef was well, pretty stringy. The prime ranching area is in Sonora. 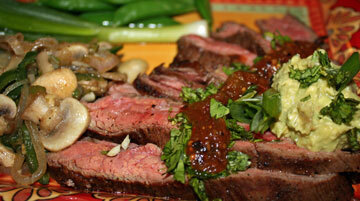 The beef is called Corte de Sonora, and can be very good. Most of this is range beef and grass fed. 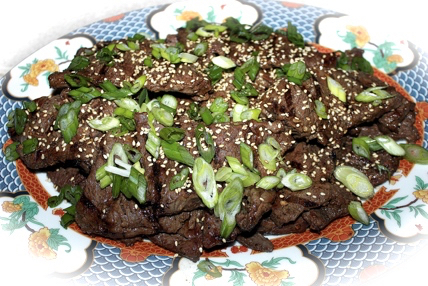 Then there is the premium brands of beef, such as the well known “Certified Angus Beef”. The Certified Angus program is excellent. I used their product in my dry aging lockers for years. I mentioned Niman Schell, another premium brand with more emphasis on raising beef sustainably, naturally and organically and very good as well. One other is Sterling Silver, but that is usually seen in restaurants, it too is very good. 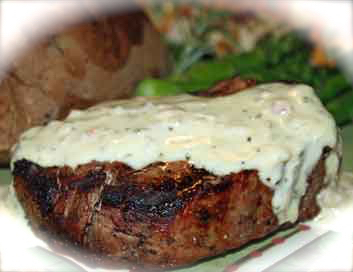 Many of our grill recipes for steak and beef you will see here have been on a menu in one of our restaurants. They are show stoppers. 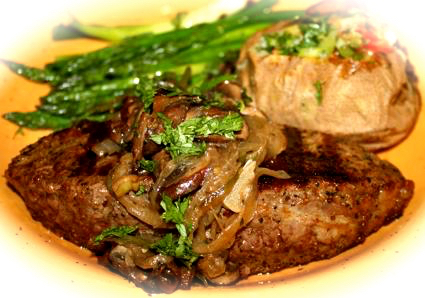 Your guest may start calling your home the new best steak house in town! 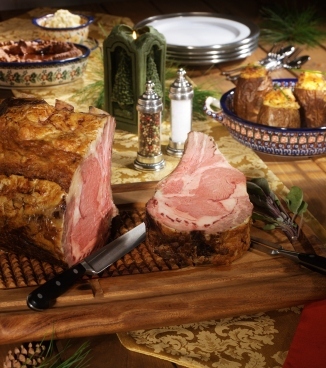 Grilled Smoked Prime Rib for the Holidays or Any Day! Most steaks and beef are better with aging. The meat becomes more tender. There are two ways that aging is done. •	Wet aging, which the beef is aged in it’s Cryovac plastic bag. While this is okay, it is not the optimal manner. However it is the way that most aging is done these days. •	Dry aging, which is the original aging process. Dry aging give the beef a better flavor and texture since some of the water departs. It is a process that takes management and attention. Also there is some waste, since the meat must be faced off and trimmed. So you will pay a bit more, but the finest steakhouses in the world dry age. 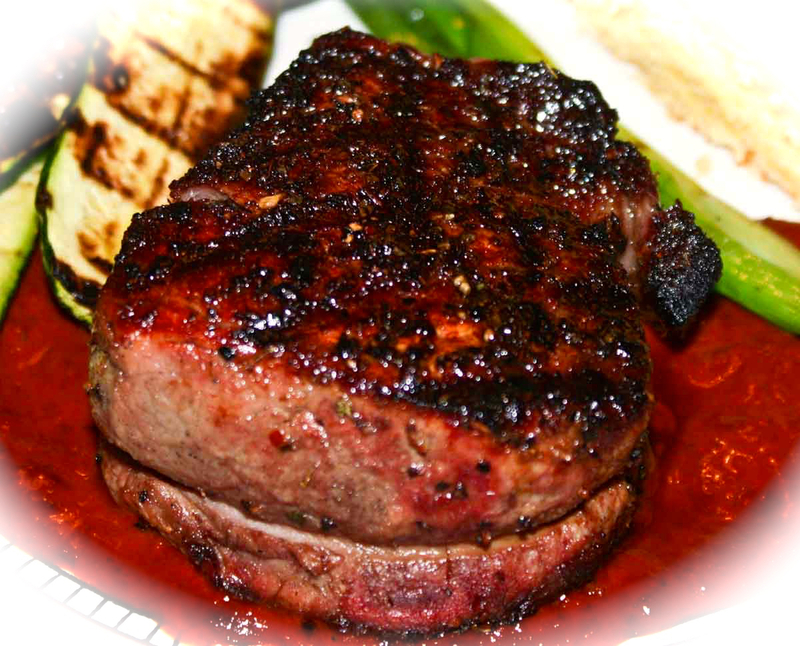 Needing the best grill recipes for steak and beef with dry aged meat is just not as essential~ the meat is at it's finest! So how to grill steak ? How long do I cook the steaks on the grill? We are providing a chart below, but here are the disclaimers. These are assuming a nice hot grill. All grills vary, charcoal vs gas, a budget grill vs a high buck BTU pumper, a portable tailgater vs the main home unit. So, check with a thermometer or use the good 'ol finger test explained later. 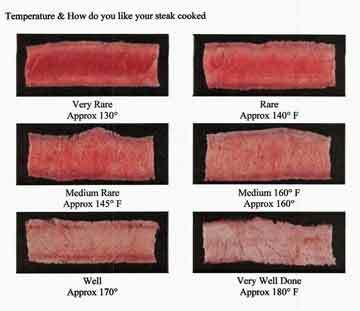 How to Grill Steak to that Desired Temperature. 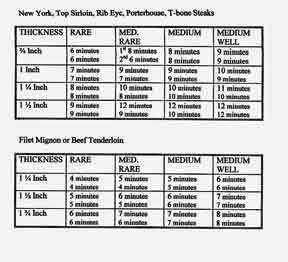 How to Clean and Butcher a Whole Beef Tenderloin? 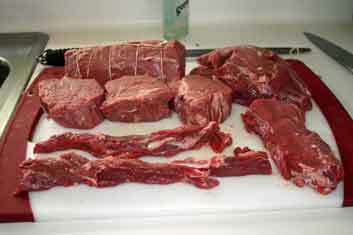 Check out this demonstration on how to butcher and clean a whole beef tenderloin. 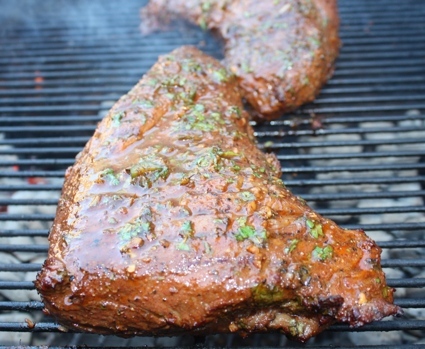 Great way to save lots of money and have great steaks from the grill.